Wescover is making the world a showroom. De Maria restaurant designed by MP Shift. Photographed by Heidi's Bridge for De Maria. When you enter into a beautiful restaurant or hotel, it's hard not to want to copy it in your own home. Yet unless you really dig deep with plenty of research, finding out what exact products are there can be near impossible. After all, when it comes to well-designed furniture and art, a huge brand name is usually not stamped on top. While these spaces are full of inspiration, they aren't necessarily equipped to give you an easy way to discover the creators behind them. Well one app is looking to change that. Rachely Esman, a tech innovator and thought-leader in the AR world, decided to create a tool that lets you see the world as a showroom. With Wescover, beautiful spaces around the globe register with the app to give you access to all the information behind the products that make them complete. All you have to do is take a picture with your camera to discover the story behind a design. We have a feeling this amazing new technology is going to change the way we shop, both empowering the consumer and the artisan. When smaller designers can have their work publicized in a new, organic way, it can help lead to growing their businesses and giving regular people the opportunity to curate unique products in their homes. Since we had to learn more, we asked Wescover founder Rachely Esman to tell us all about her cool new innovation. Read ahead to get the inside scoop. 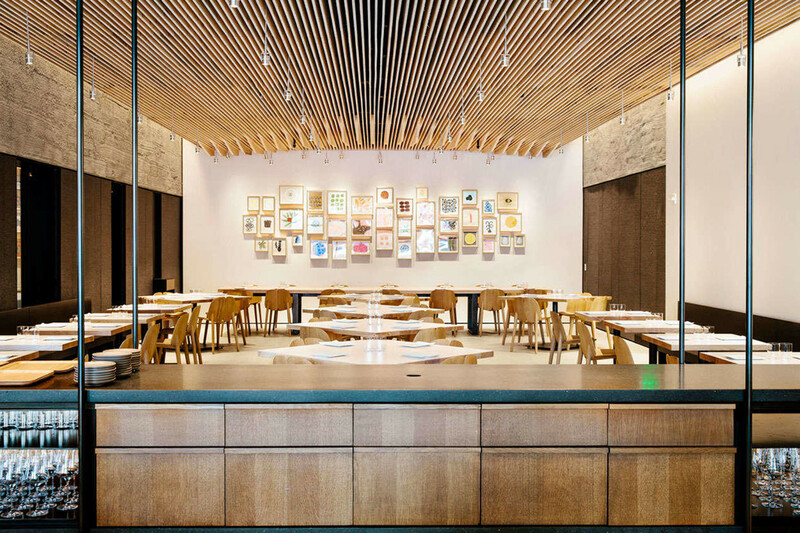 L.A.'s Otium restaurant features discoverable products like like the chandelier by Neptune Glassworks and chairs by Chris Earl. What first inspired you to create Wescover? Since I was in the market for everything from tableware to chairs, I started noticing amazing things around me. I remember I loved the plates in Frances (one of my favorite restaurants in SF) and I was curious where they came from. What better way to shop for tableware than by eating off them in a great restaurant? Or a couch by sitting on it in a beautiful hotel lobby? But, when I asked around to get more info to buy these things, it was really hard to find out what brands things were. When I finally did find out about those design elements, I discovered awesome brands and then it all started connecting. It was great experiencing a work/product in its organic setting and then discovering the story behind it. How exactly does the app use AR technology to identify art and design items? RE: When someone uses visual search/AR technology to look up an art piece or design item, Wescover matches the exact product and brand. Those that exist today are able to recognize an object by type. However, it's incapable of connecting you to the product or brand. Wescover makes sure you’re able to find out more about the exact object you’re looking at by holding up your camera. 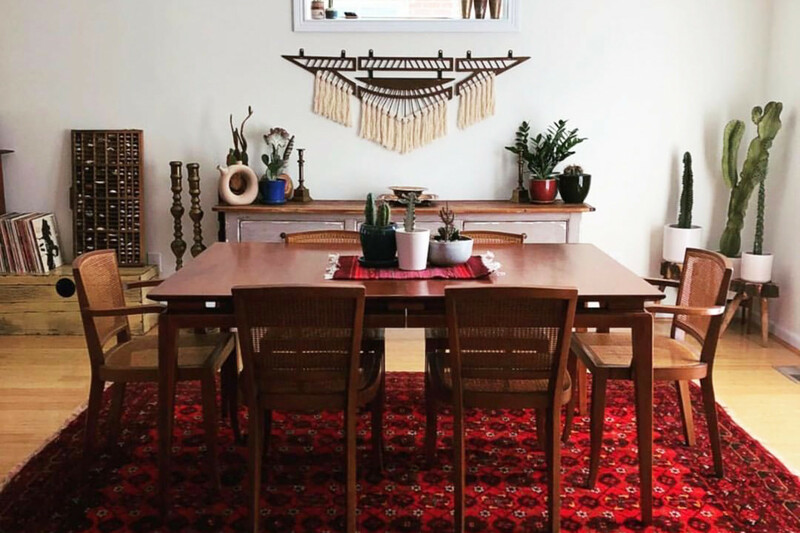 In this Cincinnati home on Wescover, you can discover this Thunderbird wall hanging by Wanderluxe. 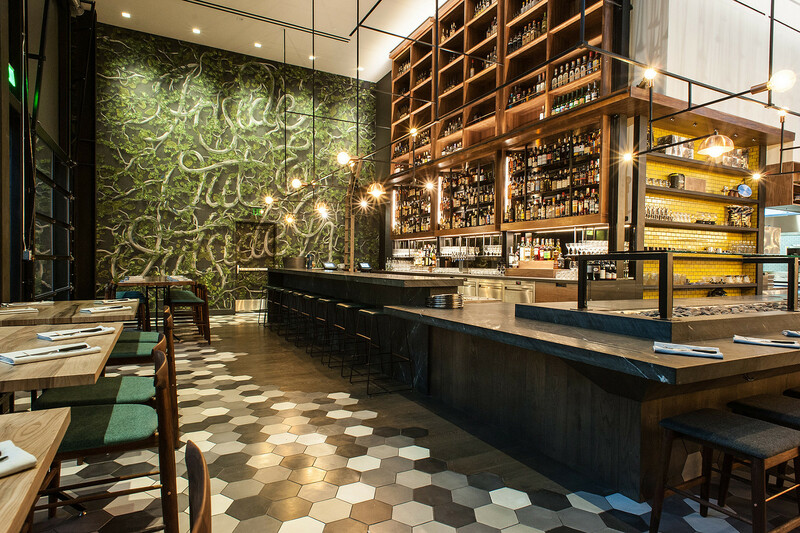 Imagine you’re having dinner in Bellota in S.F. and you notice how comfortable and the beautiful the chairs are. You want to know where they’re from and if they could work in your house. If you look it up (using a text search, image search, or AR) the technology will recognize “this is a high chair” and “here are more chairs.” So you end up finding a similar product or a knock-off which is also known in the industry as a ‘"shop the look" item. But with Wescover, you can find out about this specific chair. 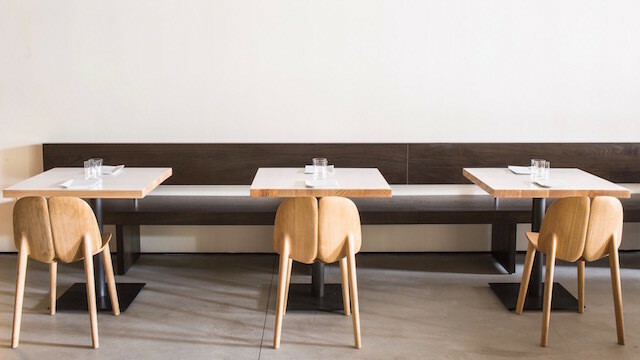 Wescover knows it is the Stanyan Bar Stool, an oak hardwood made by local designer Fyrn in the Mission District. We can tell you the story behind it as well as where else the piece has been used — Piccino, Verve Coffee, and the Kimpton Hotel all commissioned chairs from them, which helps you know the brand is credible. How do you hope Wescover will change the way we interact with spaces? RE: We believe that connecting with art and designs around us will deepen our connections with spaces and enable us to take home products from our authentic memorable experiences. Revealing the design details helps us learn about the things around us which enrich our experience. This also lets us discover and buy from smaller, local artists we wouldn’t have found otherwise. Wescover will make any room a showroom or a gallery — which is huge for consumers, spaces, and brands. Instead of being surrounded by nameless objects, you’ll be able to learn about and shop for anything in the room. Searching the In Situ restaurant in Wescover let's you discover works from five different creators. How do you think the platform will benefit the design community? RE: As a consumer myself, I wanted to find great designers and didn’t know where to start looking. It’s easy to spot unique art and design but, unless you’re in the industry, it’s hard for day-to-day consumers to find out who the brands and artists are. You’re either in the know or you're only exposed to the bigger brands from their retail stores and great marketing. We believe that by uncovering these designers and products within spaces in the real world, we’ll make it easier for mass consumers to connect with really unique brands, which is an amazing opportunity for the design community. 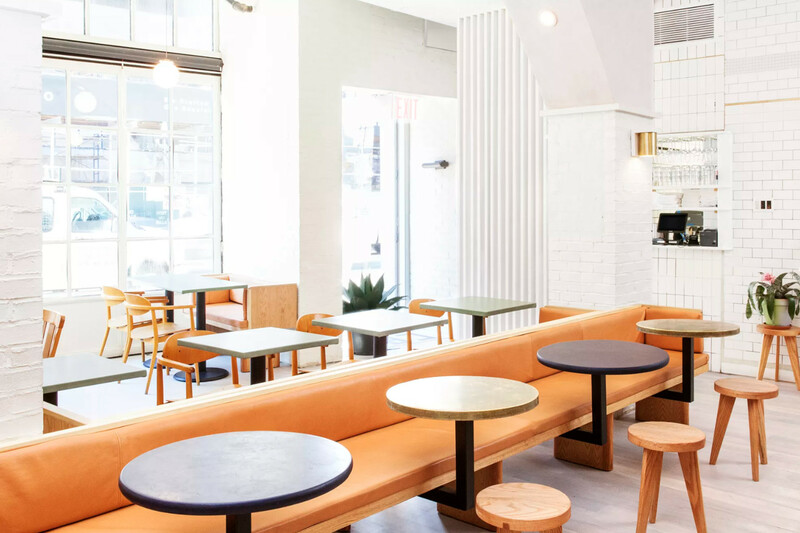 On Wescover, you can scout out the Osso Chair manufactured by Mattiazzi Italy while eating at In Situ. So, Wescover is figuring out where products exist and which creators made them. By building this accurate design map, we’re able to share not only products but also the stories behind them. The “mapping” approach allows this magic moment of revealing the product the moment a new fan falls in love with it. With this unique information, we’re working with visual search engines and camera apps to make sure our community of artists and designers get recognition — no matter what visual search tool is being used. The bigger the creators' community on our platform, the more density, and power we have to get to every consumer. Whether you’re sipping coffee in your favorite coffee shop and appreciating the mural behind the bar or if you’re sitting on a comfy chair in a great restaurant, we let you connect with the artist or brand behind the works that inspire you. We’re helping the designers and artists connect with their next potential buyers after having just experienced their products. There is no better way to sell than by letting your potential customer experience the product in an authentic setting first. RE: I’m excited about the future of retail. I think consumers today are more educated and have access to much more information than ever before. They also care about where they spend their money and they’re willing to pay more for special and unique products. It is more about timeless, high-quality pieces and passionate creators than it is about what is the cheapest. I’m excited to be able to help consumers make better choices by revealing this layer of information on the real world.